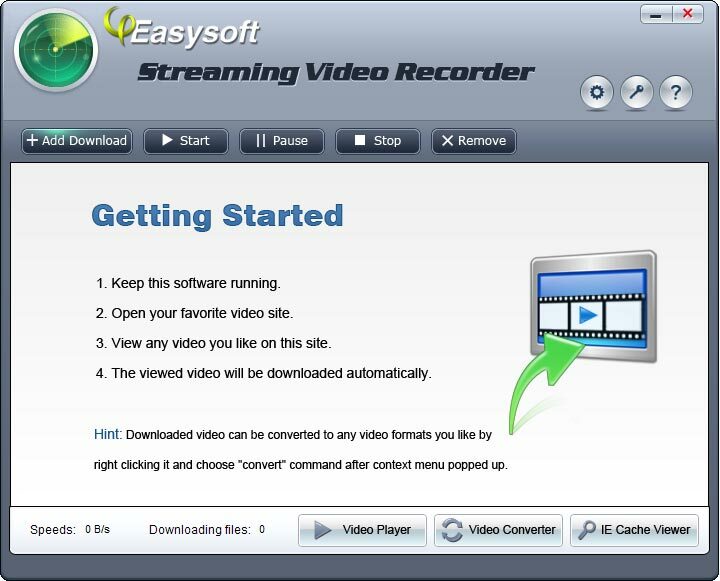 Description: 4Easysoft Streaming Video Recorder is a wonderful streaming video recorder, which can not only freely download any your favored streaming videos, online TV shows and streaming movies from many video websites or TV channels, but also can convert downloaded videos to many popular video formats so as to enjoy them in many mobile video players. Furthermore, it can capture any favored video from IE Cache. Description: 4Videosoft FLV Downloader is a FLV Video Downloader tool designed for Internet users to download FLV files and convert web videos FLV from YouTube, Google Video and other more websites to popular video and audio formats like AVI, MPG, MP4, ASF, WMV, MOV, VOB, ect and AAC, AC3, M4A, MP3 etc. It is more than a YouTube Downloader, it is also available for you to add FLV files to convert. Description: A Great Grabber is a software to scan, search and grab the Internet. All text based webpages, like html, htm etc. are scanned for needed files. You input a start webpage, the extensions of the files where you are interested in and let the software searching and downloading these files. You can additional retrieve all found email addresses from the webpages. Description: Adsen Image Grab is a free image grabber used to easily download images from a website. You can download images that are linked from the site or download images that are shown on the website. It lists the images along with the size of them and allows you to choose the ones you wish to download. The webpage, in which you are retrieving the images from, is shown as well for your convenience.. 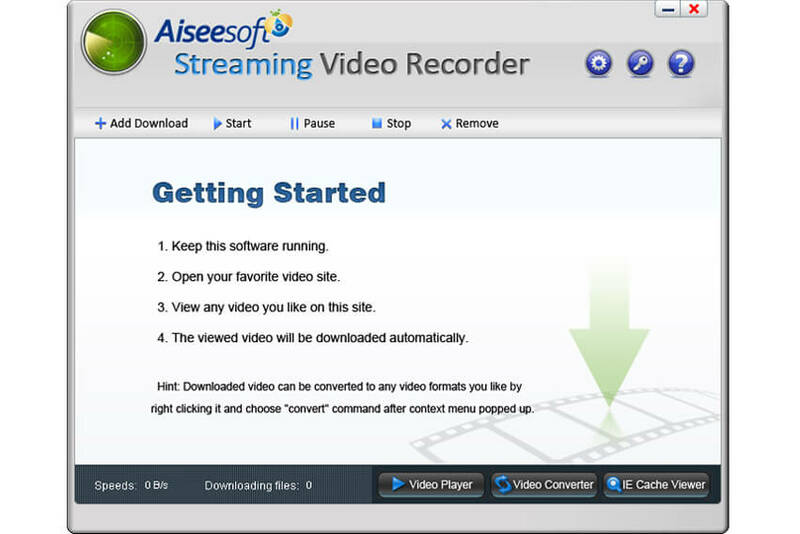 Description: Aiseesoft Streaming Video Recorder enables you to download videos from YouTube, Google video, Yahoo video, PBS, ESPN, blogtv, Adobe TV, etc, then convert streaming videos to MP4, AVI, MPG, TS, VOB, FLV, SWF, WMV, M4A, MOV, etc video formats and AAC, FLAC, MP2, MP3, WAV, WMA, M4A, etc audio formats. In addition, it has a build-in video player, so that you can watch the videos you downloaded online or the videos that has already existed on your PC. Description: Aiseesoft YouTube Downloader Pro is the professional YouTube video downloader to download online videos from YouTube, Google Video, Yahoo Video, iFilm, MySpace, Dailymotion, and many others. The supported video sites can be up to 150. The supported protocols includes http, rtsp, rtmp, mms, and more threads for downloading task. Also it allows you to convert the local and downloaded video files to any other video and audio formats automatically. Description: Aktiv Download Manager is a most needed tool for those looking impatiently for the next download. The application is developed to manage downloads, pause and resume downloads, queue downloads, or search for downloads. This software comes with an adaptive download accelerator, dynamic file segmentation, and multipart downloading technology to considerably improve the download process. Description: Andromeda Hyper GodTube Magic Tool is a FLV downloader and converter. With this util you can download videos from YouTube, Google video, Myspace and other popular video sites and convert it to AVI movie and video with excellent output quality. Avi files then can be played in Windows Media Player or other standard multimedia player. With integrated advanced encoder software create outputs with superb Video and audio quality. Description: Andromeda Apps Andromeda Hyper YouTube Copy is a powerful, easiest and fastest application for grabbing download links from YouTube, Google video and thousands of unsupported streaming video sites. Then you will be able to download and save the original video files from these sites. Very easy to use and user friendly interface. Description: Andromeda Hyper YouTube Download Tool is a FLV downloader. With this util you can download videos from YouTube.com with superb Video and audio quality.